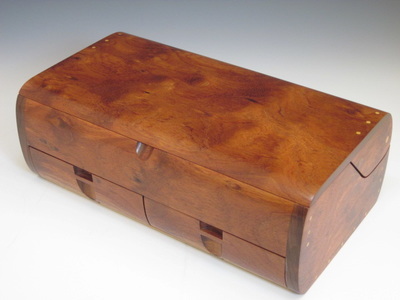 This page lists the boxes with drawers (BX-18, BX-19 & BX-20) that I have available as of 6/24/2015. 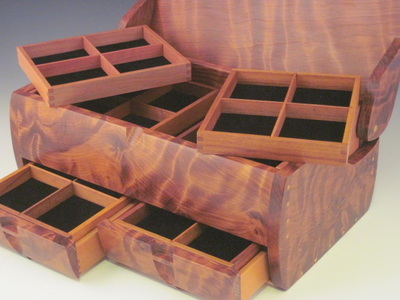 Each one is made entirely of wood, including the hinges, drawer slides and fasteners. I use a clear oil finish, but no stains or dyes, so all of the colors are natural. 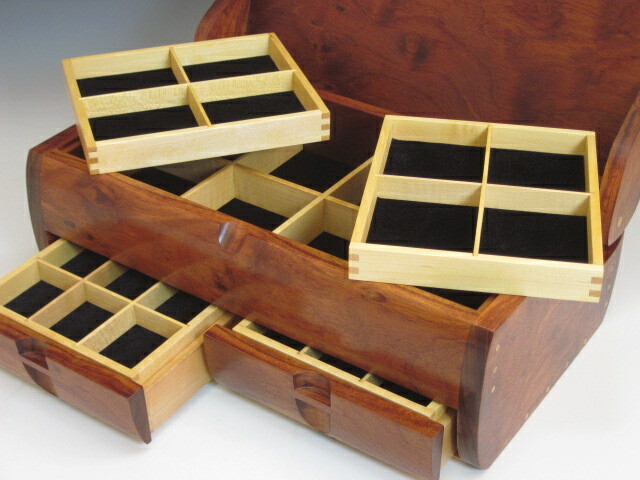 If I don't have the size/wood combination that you want I will be happy to make it for you. 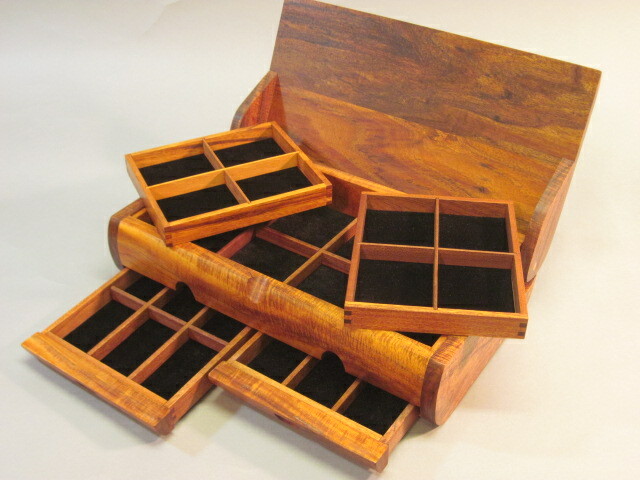 Please call me at 828-298-6007, or email me at rjwdcrafts@aol.com, or click here. 15" x 9" x 4" outside, and 13.25" x 7" x 1.875" inside the main compartment. 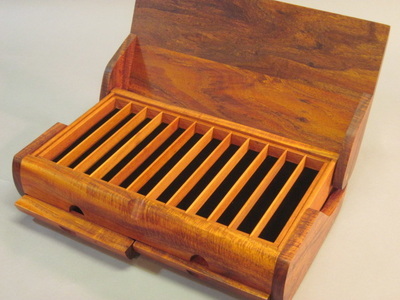 The BX-18 comes with two trays in the main compartment with dividers underneath to make 8 compartments. 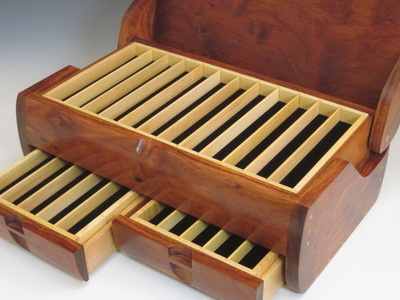 Each drawer has a set of removable dividers which make 6 compartments. 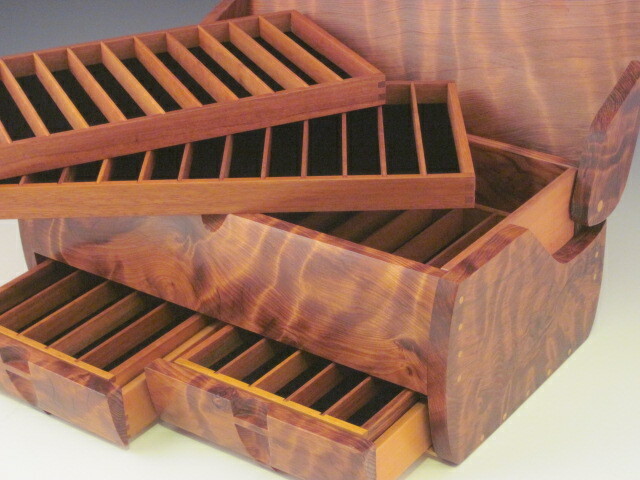 Other options for trays and dividers are available here. 15" x 9" x 5.5" outside, and 13.25" x 7" x 2.25" inside the main compartment. The BX-19 comes with two trays in the main compartment with dividers underneath to make 8 compartments. Each drawer has a tray with set of removable dividers underneath which make 6 compartments. 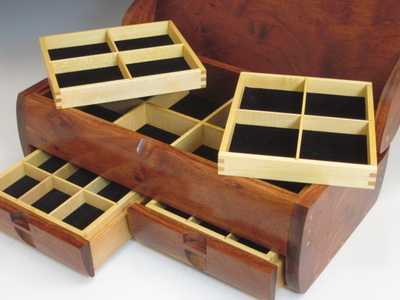 Other options for trays and dividers are available here. 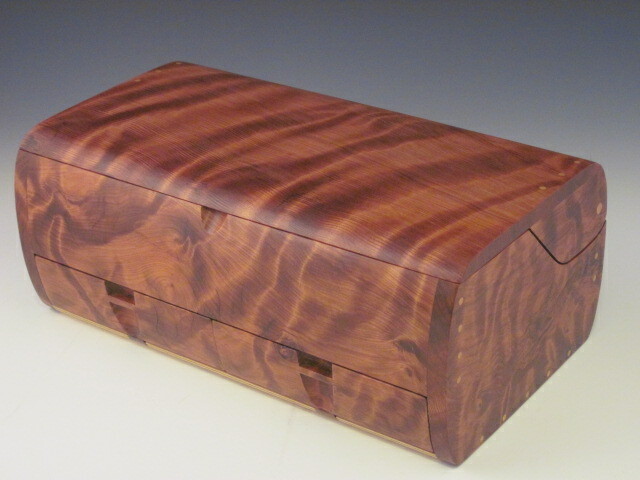 15" x 9" x 6.25" outside, 13.25" x 7" x 3" inside main compartment. This is a taller version of the BX-19, with three levels in the main compartment (two layers with two trays each over a partitioned third level), plus two drawers with another tray in each for a total of six trays. 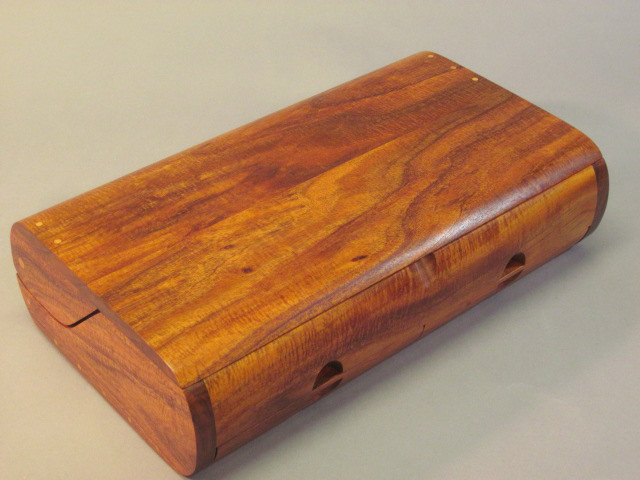 Curly Sapele, $850-$900 (photos coming soon).